GWR is an application intended to fit the window of a running game so that you do not see the title and borders (even when they really are). GWR works with one or more screens. When there is more than one, the window is fitted to the nearest screen corner. Donations are wellcome. You can send ISK to 'Night Doc' in EVE. For real cash donations (!) please send me a mail (jur@orekaria.com). Fixed: a minor, non relevant, but annoying error. Added: still less cpu cost. Added: errors are now reported to a web service. 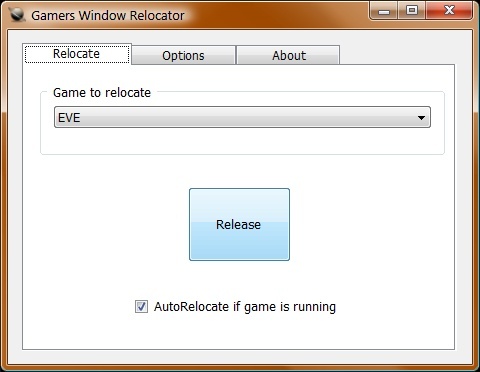 Fixed: now will recolocate correctly the window when the game is restarted. 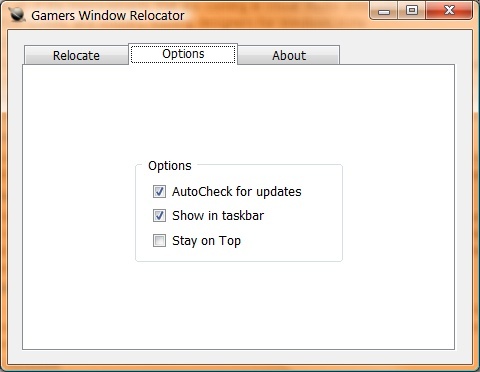 Added: any running program can be relocated. Not only Eve. Changed: the EVE process is now "exefile.exe"
You need Microsoft Framework .NET 2.0 or up. Although Vista already is shipped with it and Windows Update should already had installed it for you, they are free downloads from Microsoft available in both x86 version and x64 version. If you don't know which one fits your computer and windows version, install the x64 version. If your receive an error message, install the x32 version. Any problem, idea, etc: Forum.